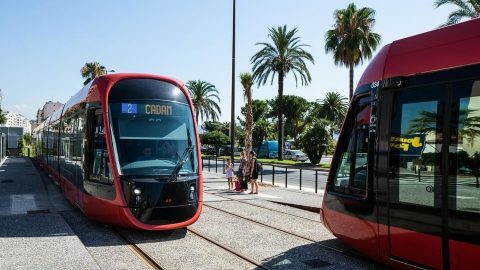 The airport of Nice is now connected to the tramway network of the city of Nice, thanks to a 1.7-kilometre extension of the T2 east-west line. The light rail vehicles run on the route without any overhead contact cables. Nice airport is the third one in France to have a tram link with the neighbouring city. The inauguration ceremony took place on 14 December in the presence of local authorities, Alstom and a member of European Parliament. The extension starts at Pôle multimodal station and terminates at Terminal 2, with a stop at Terminal 1 of the airport. Owing to the new tram section, a convenient and cheap option for travelling to the airport has been realised. “The price of a ticket to the airport is the same as for the entire Lignes d’Azur public-transport network. The west-east tram line takes passengers straight to the airport from the city centre in just a few minutes, and for 1 euro”, the city mayor Christian Estrosi said. The T2 line is a new line, launched in June when the first 7-kilometre section between Pôle multimodal and Magnan stations was opened for regular service. 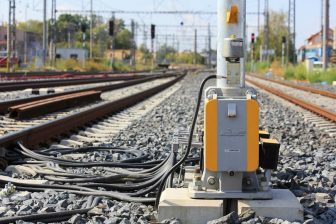 Finally, the line length should be extended to 11.3 kilometres in September 2019. Upon completion, it should reach the city port of Lympia. 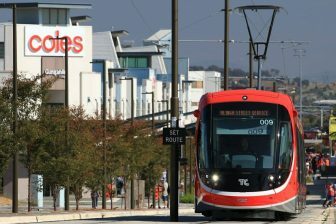 The T2 line is served by Citadis X05 trams. “The T2 tram in Nice is a great source of pride for Alstom and a showcase for the world to see the French rail industry’s expertise. Many innovations designed by our experts have been used in this project”, chairman of Alstom France Jean-Baptiste Eyméoud noted. The main feature of the route is the SRS ground-based static charging solution, combined with the Citadis Ecopack system of energy storage. These innovations allow trams to run without cables by charging energy during stops and saving it in the on-board Citadis Ecopack system. Before the launch of the T2-line extension in Nice, only two French airports, Toulouse and Lyon, had a tram connection with adjacent cities. Toulouse airport received a tram link in April 2015. It allows passengers to get to the airport in 35 minutes from the city centre by taking Citadis 302 trams manufactured by Alstom. The Lyon airport link is served by the tram-train service Rhônexpress, which is part of the city tram network. 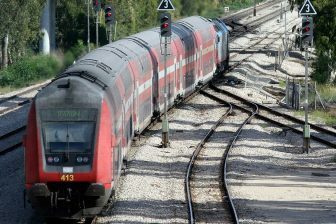 The route was opened in August 2010 and is served by six Tango vehicles produced by Stadler. The city of Bordeaux is also planning to launch a tram link to the local airport.